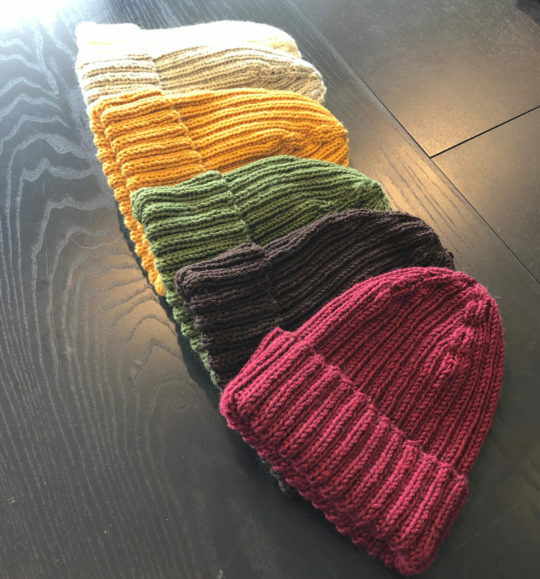 We have more Two by Two hats (pattern by Anne Gagnon) for our finished object(s) this week! These were knitted by Joanne, from Diamond Luxury Pure Wool Superwash yarn. You may remember her from a couple of weeks ago; and she is still on a roll!